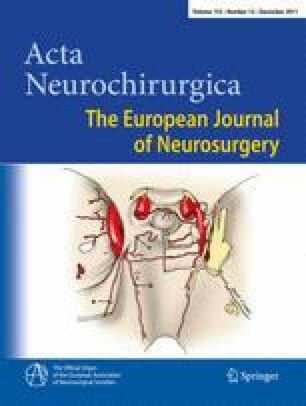 The aim of this study was to evaluate the anatomy of the central myelin portion and the central myelin-peripheral myelin transitional zone of the trigeminal, facial, glossopharyngeal and vagus nerves from fresh cadavers. The aim was also to investigate the relationship between the length and volume of the central myelin portion of these nerves with the incidences of the corresponding cranial dysfunctional syndromes caused by their compression to provide some more insights for a better understanding of mechanisms. The trigeminal, facial, glossopharyngeal and vagus nerves from six fresh cadavers were examined. The length of these nerves from the brainstem to the foramen that they exit were measured. Longitudinal sections were stained and photographed to make measurements. The diameters of the nerves where they exit/enter from/to brainstem, the diameters where the transitional zone begins, the distances to the most distal part of transitional zone from brainstem and depths of the transitional zones were measured. Most importantly, the volume of the central myelin portion of the nerves was calculated. Correlation between length and volume of the central myelin portion of these nerves and the incidences of the corresponding hyperactive dysfunctional syndromes as reported in the literature were studied. The distance of the most distal part of the transitional zone from the brainstem was 4.19 ± 0.81 mm for the trigeminal nerve, 2.86 ± 1.19 mm for the facial nerve, 1.51 ± 0.39 mm for the glossopharyngeal nerve, and 1.63 ± 1.15 mm for the vagus nerve. The volume of central myelin portion was 24.54 ± 9.82 mm3 in trigeminal nerve; 4.43 ± 2.55 mm3 in facial nerve; 1.55 ± 1.08 mm3 in glossopharyngeal nerve; 2.56 ± 1.32 mm3 in vagus nerve. Correlations (p < 0.001) have been found between the length or volume of central myelin portions of the trigeminal, facial, glossopharyngeal and vagus nerves and incidences of the corresponding diseases. At present it is rather well-established that primary trigeminal neuralgia, hemifacial spasm and vago-glossopharyngeal neuralgia have as one of the main causes a vascular compression. The strong correlations found between the lengths and volumes of the central myelin portions of the nerves and the incidences of the corresponding diseases is a plea for the role played by this anatomical region in the mechanism of these diseases.